Karmarkar’s research falls into two major streams. The first investigates how individuals use the limited information available in uncertain situations to make choices. The second examines how the timing and context-dependent framing of information influences decision-making. In pursuing this work, she combines methods from consumer psychology and behavioral economics with neuroimaging, allowing her to study both conscious and unconscious processes. Prior to joining UC San Diego, Karmarkar was a visiting professor at UC Berkeley’s Haas School of Business and an assistant professor in marketing at Harvard Business School. For more information, please visit Uma Karmarkar’s personal site. 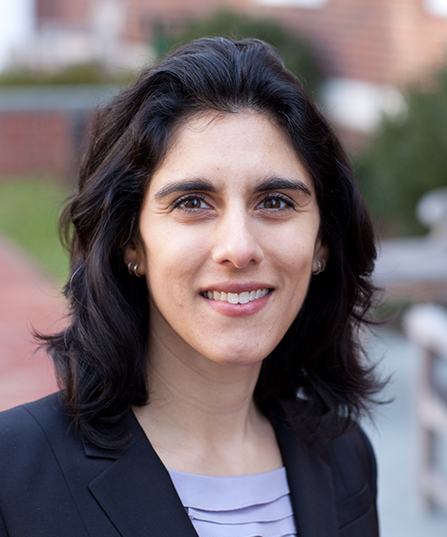 Oct. 19, 2017 | Meet GPS’s new assistant professor, Uma Karmarkar, a neuroeconomist who looks at consumer behavior in theory driven-frameworks.